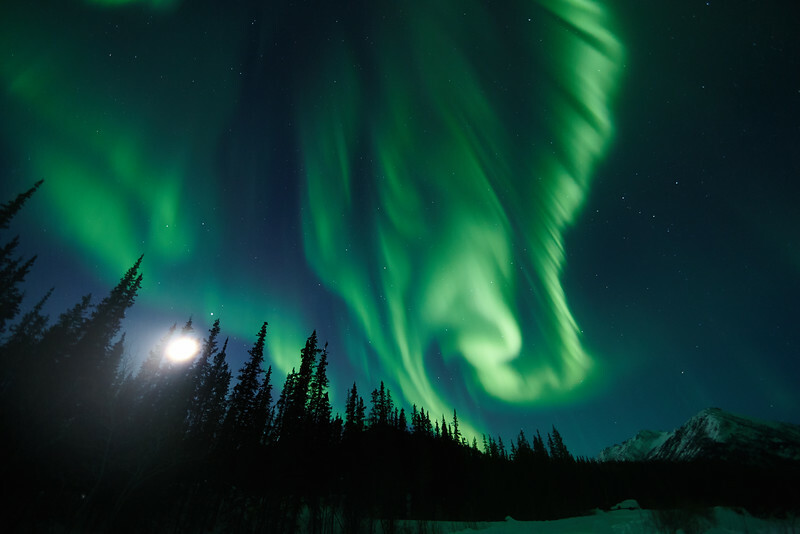 Captured with Canon 5D Mark II camera and 14mm f/2.8 L II lens early on March 10, 2014. 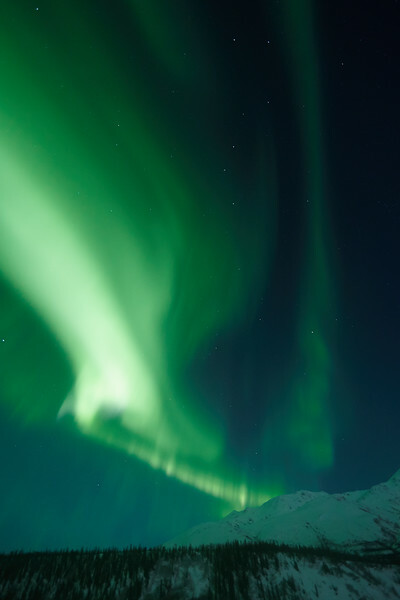 Aurora Borealis and the Moon captured early on March 10, 2014. 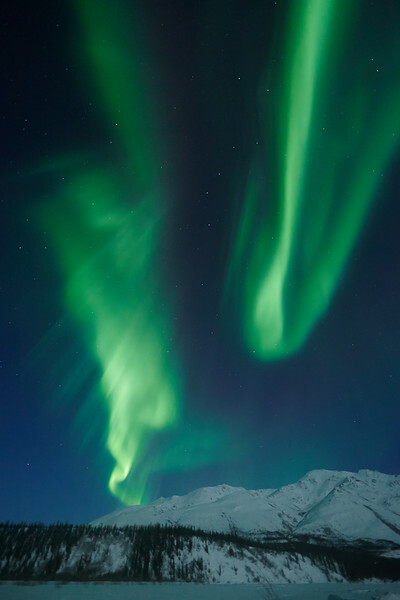 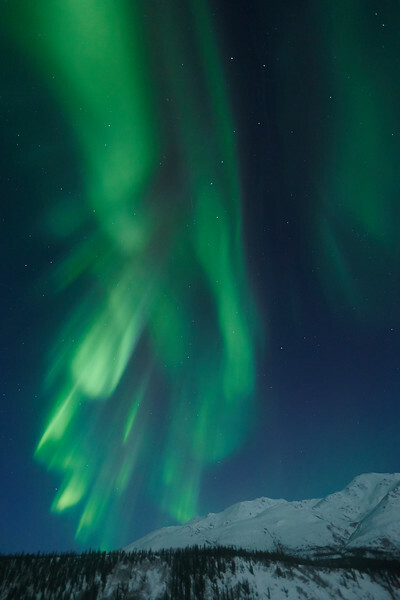 Aurora Borealis captured early on March 10, 2014.